Kardashian matriarch, Kris Jenner jumped into the dating pool with a younger man. Who is Corey Gamble? He’s the new man in the Kardashian family. Kris Jenner can’t seem to catch a break from worrying about her kids. Right after watching Kim Kardashian narrate the terrifying ordeal of her Paris robbery on Keeping up with the Kardashians, she fears for her youngest daughter, Kylie Jenner’s life. The latest episode of KUWTK shows Kylie calling her mom fearing her home was burglarized. A fearful Kris then calls her boyfriend for help. Kris has been dating Corey Gamble for a while now, and their relationship has sparked a few questions over the years. 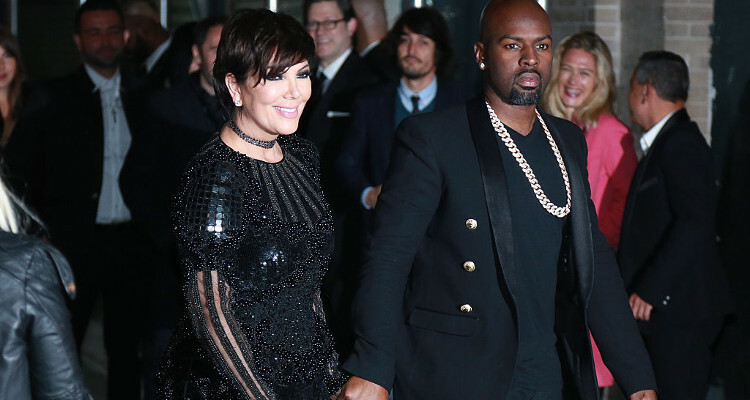 For instance, are Corey Gamble and Kris Jenner married? Find the answer to that question and more about Kris Jenner’s boyfriend in Corey Gamble’s wiki. The 36-year-old Gamble is Justin Bieber’s road manager and works under Scooter Braun. Which means he often travels with Bieber, including to Ibiza, Spain for designer Riccardo Tisci’s 40th birthday. It’s also the party Bieber “banned” Orlando Bloom from. The star-studded guest list also included Kim, Kanye West, and Kris Jenner. Rumors that 61-year-old Kris was dating a younger man started swirling when they were spotted together in a Mexican getaway in 2014 (someone should’ve told them the Mexican paradise is reserved for Bachelors). They were spotted on few more dates, including Kim’s 34th birthday party, before they were confirmed to be an item. They have fueled engagement rumors after being spotted with matching rings, and sources claim they are aiming for a spring wedding this year. They even had a pregnancy scare on KUWTK! But Kris and Corey haven’t been seen together for a while, raising speculation that they broke up. Also Read: What Did Kris Jenner Do to Shock Khloe Kardashian? The Atlanta native graduated from Westlake High School before studying business marketing at Morehouse College. He was the star of his high school football team, and it looks like he maintains his athletic body. He later moved to LA to study music business and found himself working under Scooter Braun, the man who gifted Justin Bieber to the world. He’s also a TV personality now, after appearing in KUWTK and has amassed a net worth of $2.5 million. A paltry amount compared to Kris Jenner’s $60 million. His friends call him Mr. Dependable because he’s a responsible guy, who doesn’t like to party much. According to a source close to the couple, “He’s a really great guy. … He’s so nice and a very responsible man. He doesn’t drink or party. He is very caring about other people and generally just an all-round good guy.” He’d rather talk business than party. It’s a good thing that he’s there to keep Bieber out of trouble then! Gamble refers to Bieber as his nephew and counts him as one of his 27,000 followers on Twitter. Not just him, Miley Cyrus and Ellen DeGeneres follow him, too. Though Kourtney is one of his followers, he and Kris don’t follow each other. These days, being social media official is a big thing. But in Gamble’s defence, he’s not too active on social media in the first place. He’s got over 580,000 followers on Instagram, where he posts a lot of life advice and pictures of himself on snowy mountains. There are also a few pictures of Bieber and Kris Jenner scattered here and there. His birthday is November 10, and Kris’ birthday is November 5, so there’s a small window for them to post sweet birthday messages to each other on Instagram. On his 36th birthday, Kris Jenner shared a picture with an “I love you,” calling him a blessing in her life. Happy birthday to this amazing man… thank you @coreygamble for being there for me always, unconditionally. I love you and wish you an incredible year…. you are such a blessing in my life. We saw that coming! After ending her marriage of 20 years with Caitlyn Jenner, Kris began dating the much younger Gamble. So, it’s only natural for the Kardashian-Jenner girls to grill him about his intentions with their mother, the way Kris would with any of their boyfriends. Watch a brand new episode of Keeping up with the Kardashians every Sunday at 9:00 p.m. EST only on E!